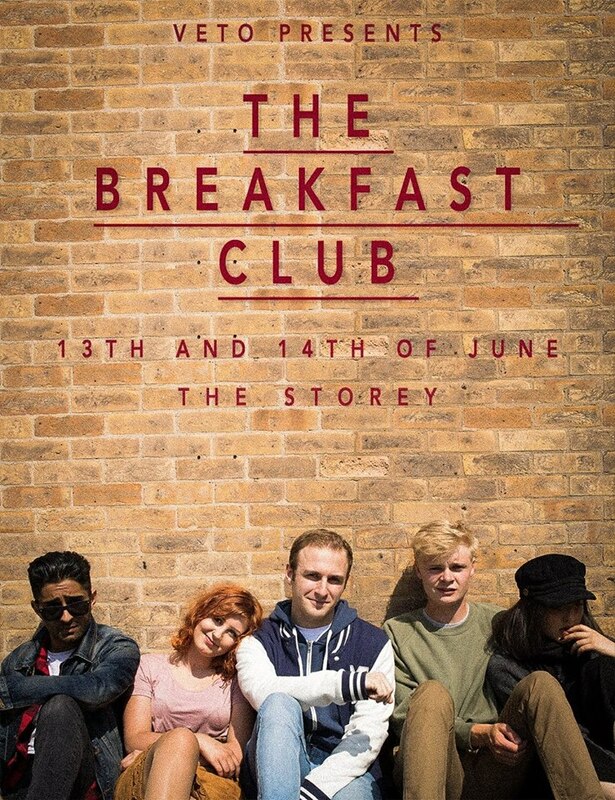 After feeling discontented by LUTG’s rather uninspiring choice of productions this term, I was pleasantly surprised to see that VETO had opted for a far more daring and original choice, a stage production of John Hughes’ 1985 film, The Breakfast Club. 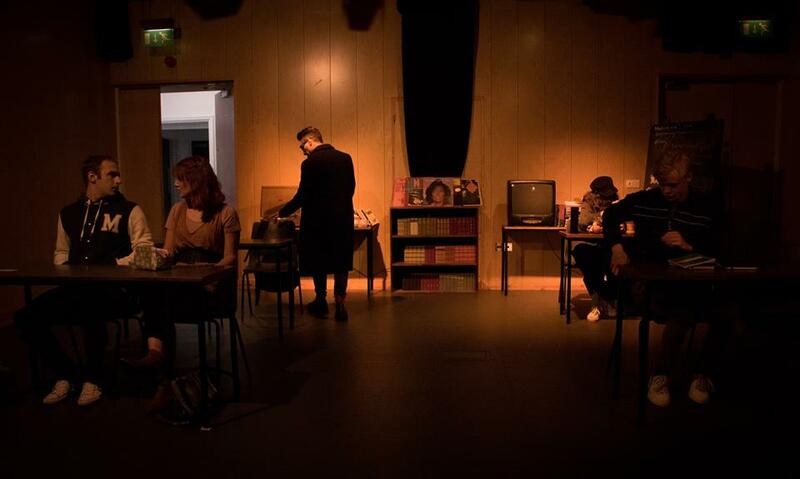 For me, VETO have been a much-needed injection of life into student theatre this year, and have produced some really inventive pieces of theatre that exceed the expectations of what a small group of students can put on with far more limited funding than that of the Union affiliated LUTG. I have had the pleasure of viewing all their previous productions, Charles Manson thriller Helter Skelter, which is set to be revived at The Grand Theatre, inventive drama The Two Minds of Socrates, and the bold undertaking of Towers. But The Breakfast Club was my favourite so far. The quality of The Breakfast Club lies in VETO’s ability to restrain their capabilities, and produce a refined, simplistic play. The story and much of the script from the cult classic film was honoured, they effectively conveyed its comedy and light-heartedness, whilst maintaining its social meaning at the core of the production. The production comes full circle, starting and ending in the same way, highlighting the characters of the brain, the athlete, the basket case, the princess and the criminal, who are all different and discarded by society, but come together and bond in Saturday detention, to realise that they are all similarly important. This made The Breakfast Club a perfect production to choose, as it holds an important message, especially for a student audience. The set was designed far more interestingly than what one would expect from a basic classroom setting. I loved the wooden aesthetic brought from the furnishings, and it helped to create a vivid 1980’s vibe, alongside the carefully chosen clothes worn by the characters. As always, VETO delivered effective use of lighting, often spotlighting on particular characters for one to one conversations, this was a creative way to tackle the individual scene changes that would exist in the film. And the soundtrack was thoroughly enjoyable and added to the feeling of living in the 1980’s, yet they consciously omitted the film’s characteristic song ‘Don’t You Forget About Me’ to avoid cliché, which was a smart choice. The cast were impeccable, all of the actors fully embodied the personalities of the characters, and were totally believable. It’s novel how VETO use a lot of the same actors throughout all their productions, and it highlights the actors’ strengths to play such a diverse range of roles. Mike Narouei was outstanding as always, he carried the obnoxious rebel role, but showed real depth as the play progressed into its climax where you found the sadness attached to his character. Malka Kovalenko was extremely watchable and charismatic in playing the iconic Claire, she very much lived up to the expectations of the character set by Molly Ringwald in the film. A special mention is definitely owed to Santiago Guillamon, who like in Towers, consistently provided a level of humanity and comic relief with his quirky and adorable acting style, this time, portraying the janitor. 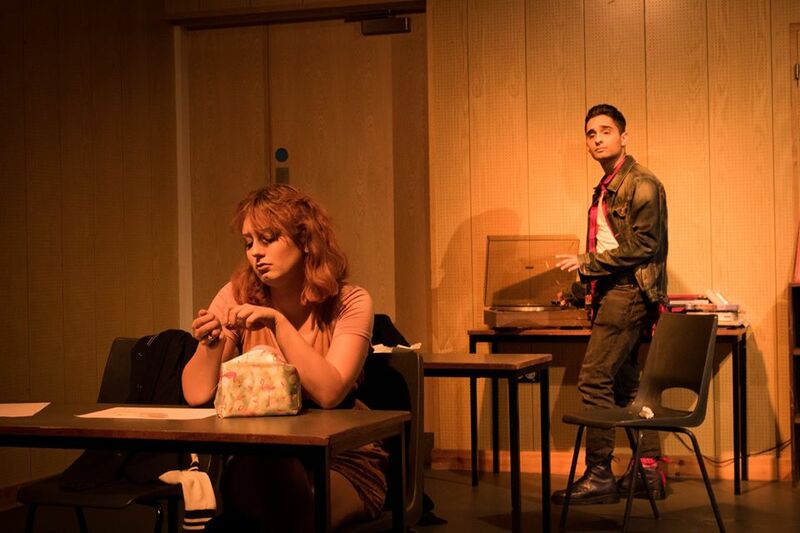 But the stand out performance of the cast was from Fatima Rodriguez who carried a level of sheer craziness not often seen in theatre, perfected to the minutiae of every facial expression; she has real acting talent. VETO’s Breakfast Club showed real talent from everyone involved, from the actors, to the production designers, to the director. It’s a production that I can guarantee would not have been disliked by a single audience member, throughout their three performances. I personally had goosebumps when the final monologue was delivered, and I left with a smile on my face knowing that I’d witnessed some excellent theatre. 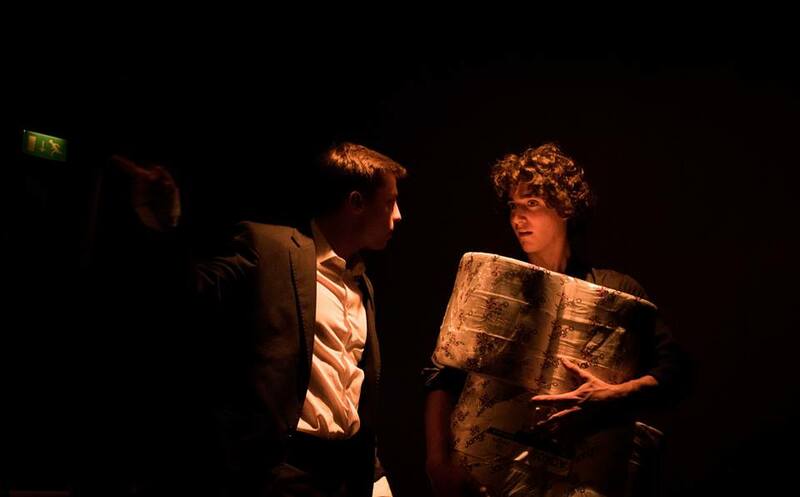 VETO should be proud, and I hope they will continue to pick inventive pieces of non-traditional theatre next year; they are a credit to the Lancaster theatre scene.